Some cool events for your kids at the Jersey Shore in June, including Tuckerton's Privateer & Pirate Festival, AC Airshow, sand sculpting contests and more! June 8: Ocean Fun Day at the Island Beach State Park, 11am-3pm. Enjoy exhibits, classes, nature tours, and children’s activities all about our coastal environment, learn the science of our shorelines and how to protect the bay. June 8: 3rd Annual Privateer & Pirate Festival at the Tuckerton Seaport. Kids can learn the difference between privateers and pirates and then be one. Pirate history, authentic and make believe plus a treasure scavenger hunt, games and a duel! 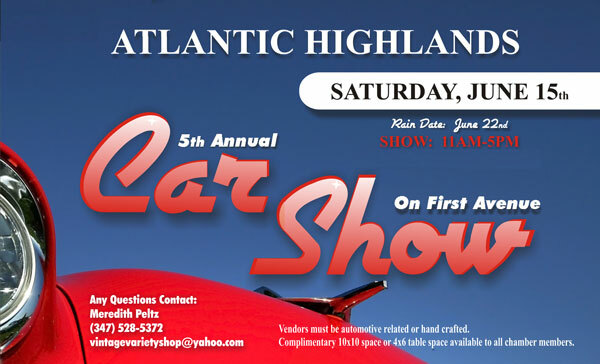 June 15: Atlantic Highlands 5th Annual Car Show. Kids will enjoy over a hundred classic cars on First Ave. There’s also food and craft vendors, live music, games and prizes. June 15: Skimmer Festival in Sea Isle City. Big seaside craft market, live music, giant food market, sand sculpting demonstration and contest plus children’s activities. June 18: World’s Largest Swimming Lesson at the Breakwater Beach Waterpark in Seaside Heights, 10am. It’s free, sign up your kids to be included in the 2013 Guinness Book of World Records attempt at the World’s Largest Swimming Lesson! join thousands of other swimmers around the world for this great event, all skills and ages. June 22: Great Outdoors Family Festival in Lincroft. Games, activities, live music, entertainment, food, camping demos, nature crafts and more, hosted by the Monmouth Museum at Brookdale Community College, 10am-5pm. June 26: Atlantic City Airshow. One of the very best air shows in the country, with its heart-stopping feats, aerobatics maneuvers, formation flying and solo routines by military and civilian pilots. Enjoy a day on the beach with the kids and watch all the aircraft just over the water.